This post is in a series of posts working through the Children's Catechism. For more information on how this started, be sure to read the beginning of this earlier post (which also contains our activity for question one). 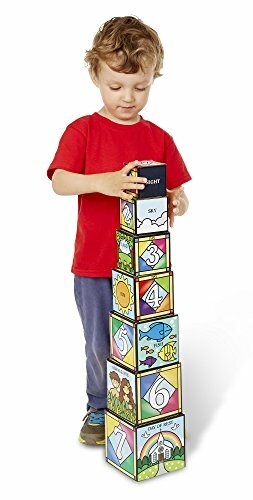 As of the start of this series, I have a 6 year old (Homeschooling for Kindergarten), a four year old (Homeschooling for Pre-School), and an 18 month old. To see all my favorite resources and an explanation on the Children's Catechism, check out the most popular page on my blog here. Today we're looking at question 2 from the Children's Catechism. Question: What else did God make? Answer: God made all things. Another easy one! Here's what we did to make it a "lesson" and fun. First we read the creation story from Genesis 1. 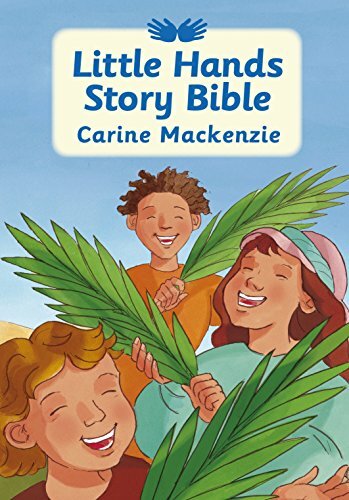 We also read a version from one of our Bible story books too (The Little Hands Story Bible) as a summary. We talked about all the things God made in the creation story. 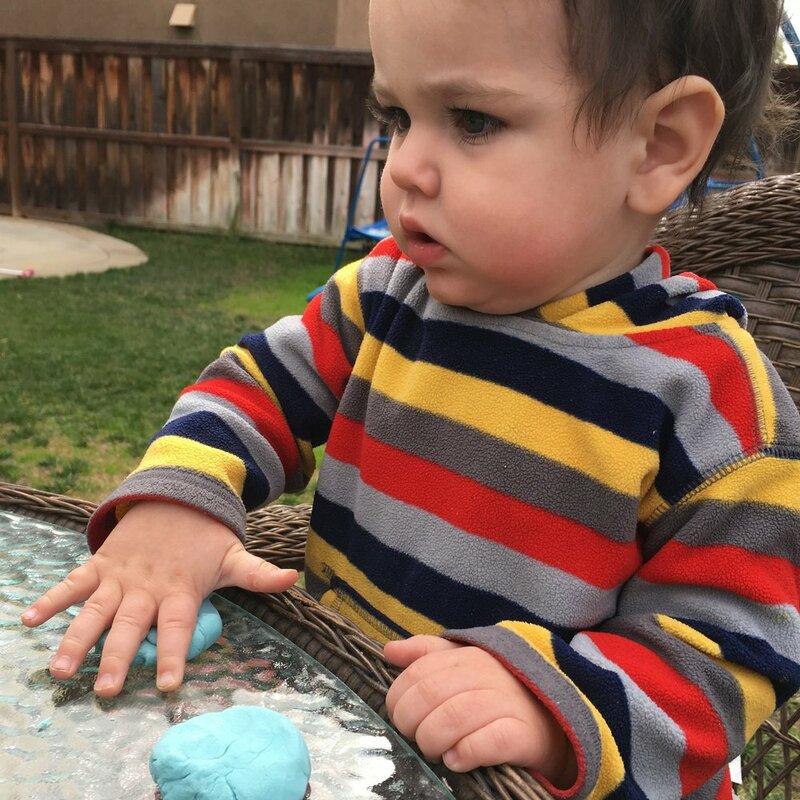 We happened to be in our backyard (preparing for our activity that might get messy), so we looked at the trees we could see, the clouds in the sky, and all the things God made. We also talked about things we saw that people have made (from materials that God made). The goal here for toddlers (who want to point to an airplane and say "God made that airplane!") is to have them understand that God created everything out of nothing and we create things out of things God created originally. 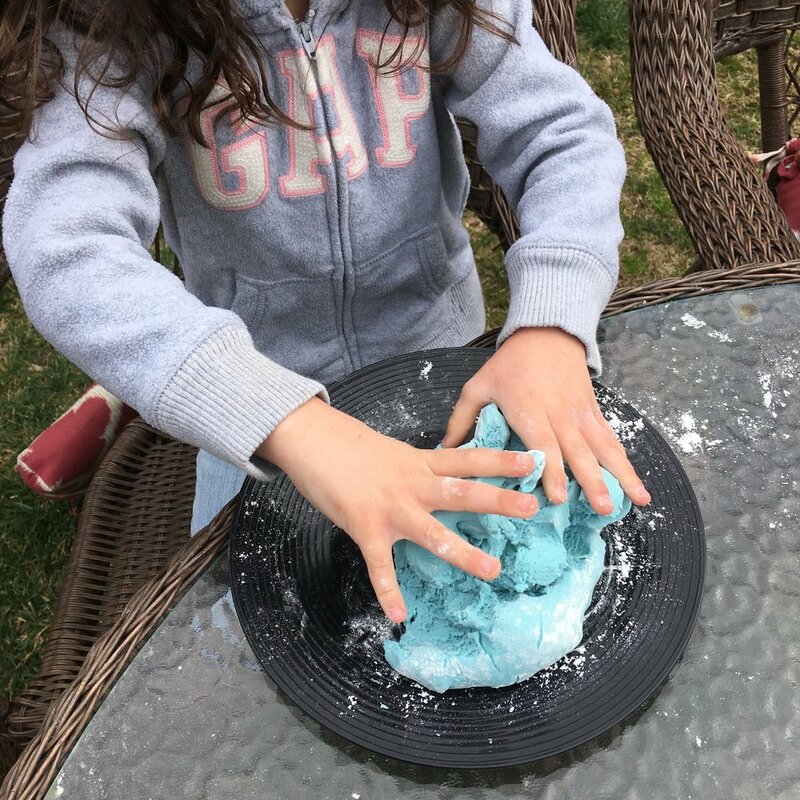 Knowing that was our goal, we made play dough to learn that we could make something out of things we found in our kitchen and then could make shapes out of the dough we had made but that's so very different than how God created the world. Now, the recipe calls for about one cup of water. Start with one full cup, stir and see. We put in one and a half cups and that was way too much as you can see in the next picture. Too watery - add more flour. This is about the right consistency. After the consistency is good, you'll want to take it out and kneed it until the texture is smooth and then it's ready for play! I'm all about the "good conversations" with my kids. Especially when the questions and answers are easier to memorize (like this one), I like to have meaningful activities to help them remember and talk about later. This lunch conversation later would be something like, "We made play dough out of a bunch of kitchen ingredients and it was still hard to do! We had way too much water at first and had to fix it. 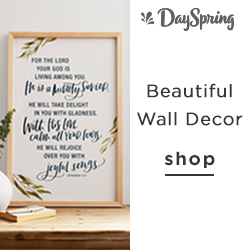 But God made everything just by speaking! Out of nothing! Wow!" 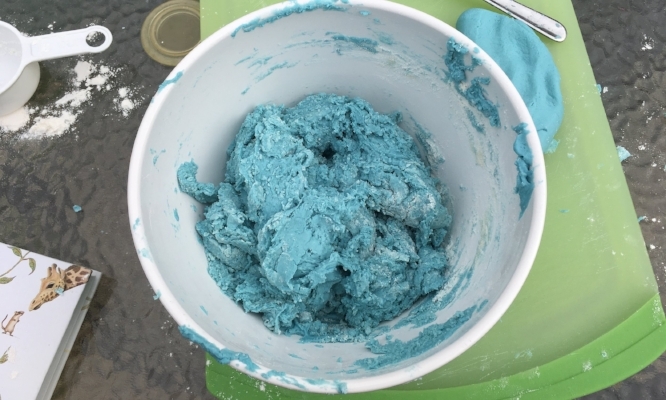 While playing with the dough, another good conversation would be to talk about how we are made in the image of God and one part of that is that we are creative like God. There are obviously a LOT of other crafts and activities you could do for this second question (learning about animals, flowers, the planets, whatever!) but this was easy, messy, and fun! That's all for today! Let me know what you think in the Comments below.